After long months of cold weather and tons of snow, we can finally say that spring is here. We’re certainly happy to get rid of the winter blues, so we prepared a special freebie to all our followers: a free vector pack of beautiful butterflies ready to fly away and decorate your designs! As the season changes, so do the major themes for your design work. Branding corporate PR and advertising materials is also done according to the season, so you must be already flooded with requests of spring inspired marketing campaigns, ecards or desktop wallpapers. It is not easy being creative within the same general motifs (birds, flowery fields, or budding branches), so we decided to add a little extra color to your graphic work with 11 different butterfly vector files. You can choose from small and large butterflies and scale them in any way you need them. Whether you are just experimenting with vector graphics or really need them for work, we want to offer all our followers a spring gift and put together a full pack of butterfly vector files to play around with. We would love to see how you got creative with our vectors, so we welcome any kind of feedback from you. 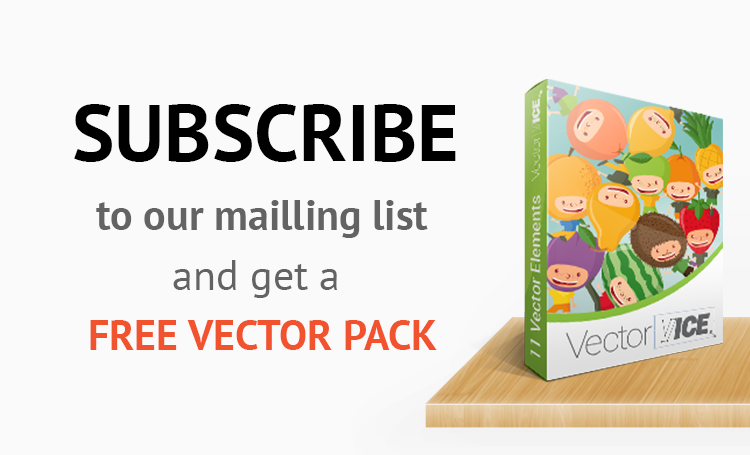 However, you need to hurry up and follow this link to download your free vector pack. 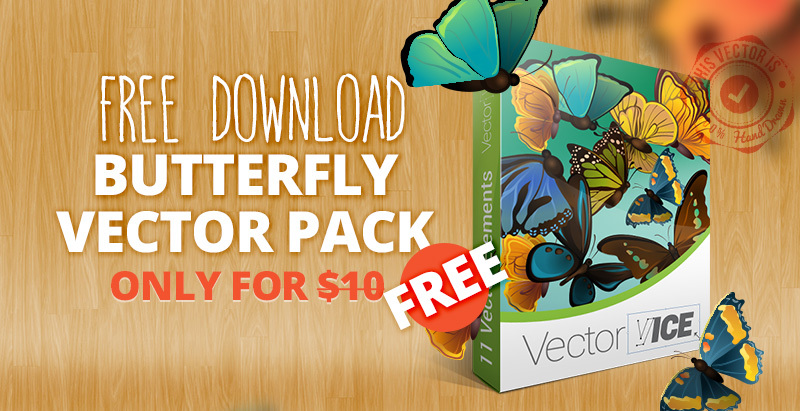 The butterfly vector pack is free only throughout the month of March. This is our special way of saying that we’re happy that the spring is here. We are constantly working and creating new vector packs to answer every design needs. We are preparing many more new exciting surprises for our followers, so stay tuned for more brand new products. 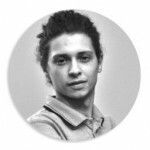 Our new releases are not just seasonal, but also related to the requests expressed by our clients. So, if you do not find the pack you need in our store, write to us and let us know. 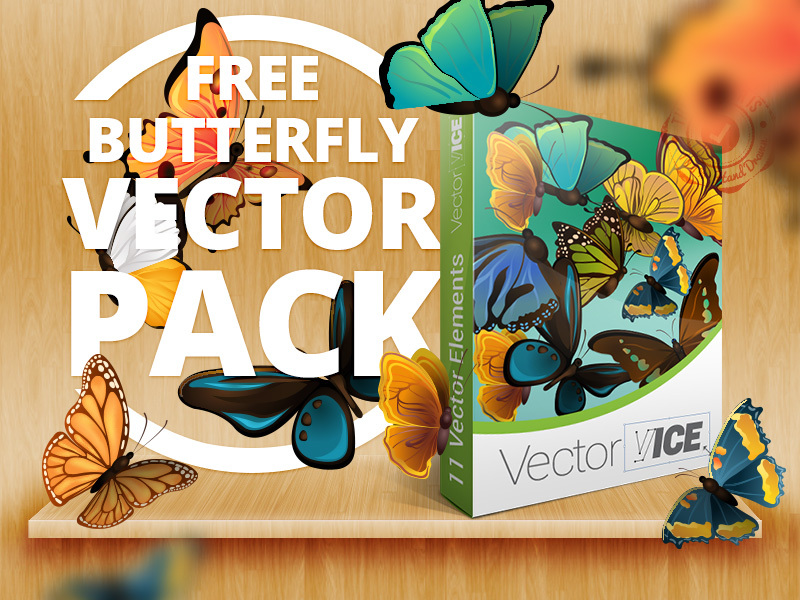 Once again, do not forget to take advantage of our gift for you: the butterfly vector pack is free during the month of March. Click here to claim your free pack!